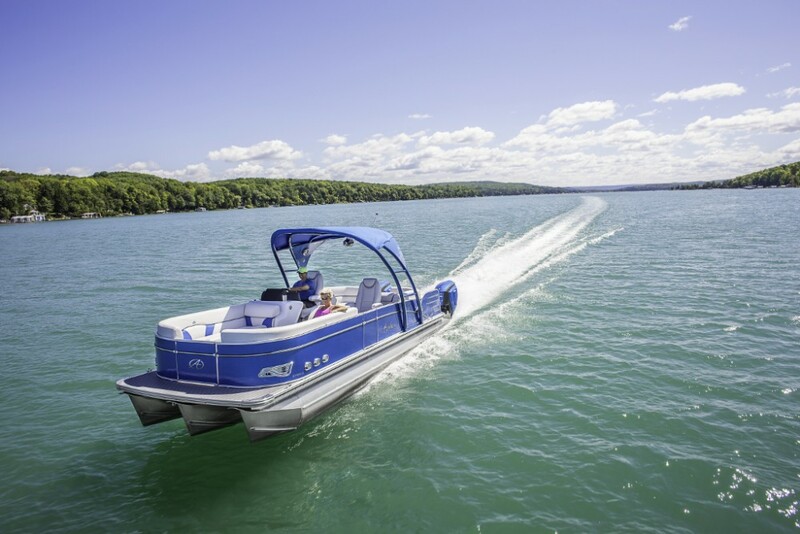 A stereo system, TV, entertainment center, and all of the electronic gadgets and accessories that go along with these items make time spent aboard your boat that much better. 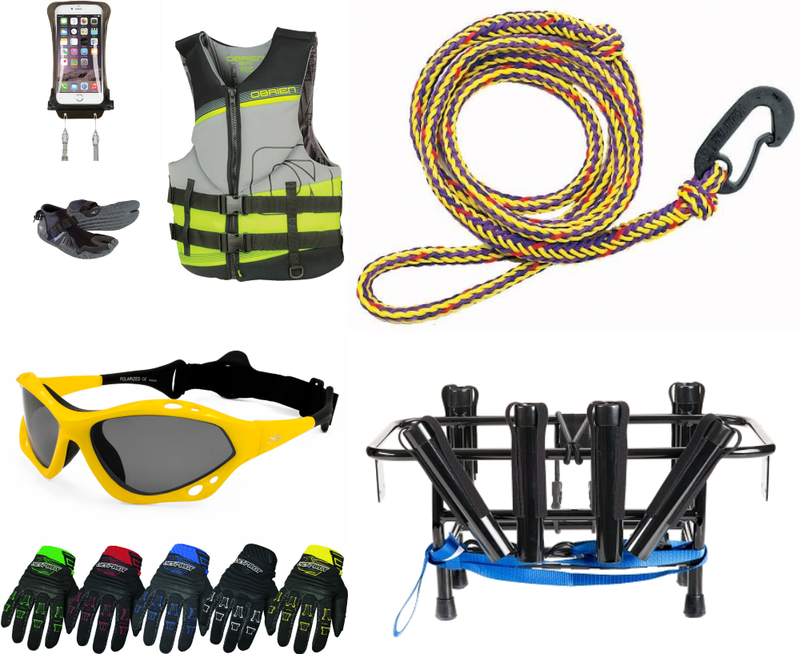 Here are our top 10 picks for the new boating season. 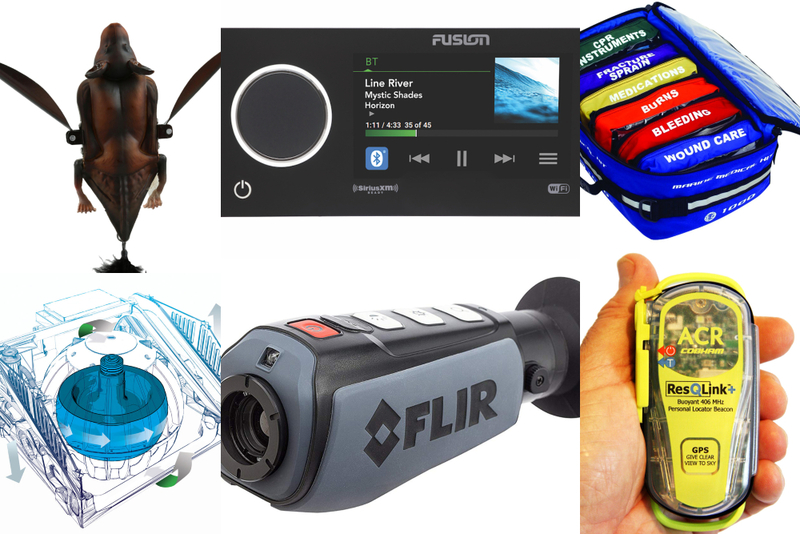 Yes, we've looked at the Hottest New Marine Electronics for the year, and we've dove into some of the best ways to bring your tunes onboard with marine stereos—but in today's technology-driven world, there's always a new innovation that makes people stop, stare and say wow. 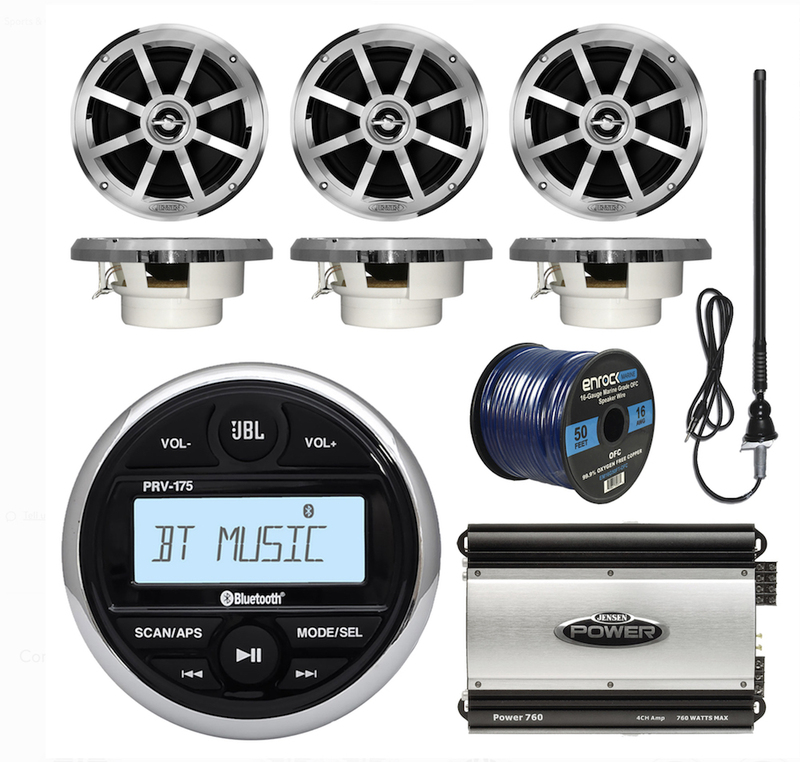 This idea is no different in the boating world, so with that being said, it's time to take a look at our top 10 picks in marine stereo systems, AV accessories and other electronic gadgets for boats and boaters. 360 Fly Camera - starting at $300 for HD and $500 for 4K. 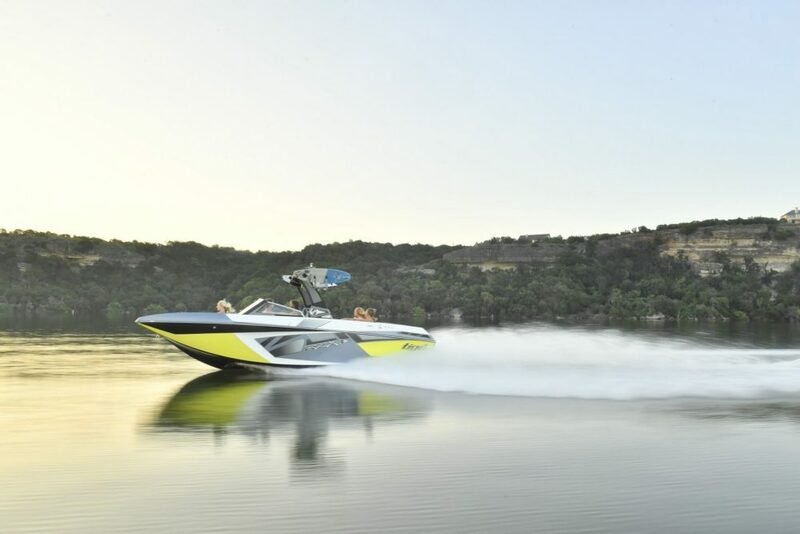 See everything with the 360 Fly camera, a 360-degree action camera that shows you what’s happening in front of, behind and to the sides of the boat. Great for watersports either from the rider’s perspective or from onboard, the 360 Fly camera is available in HD or 4K and holds up to 64 gb of data. The 4K model records at 50 megabits per second compared with 20 mbps on the HD model. For more information, visit 360Fly. 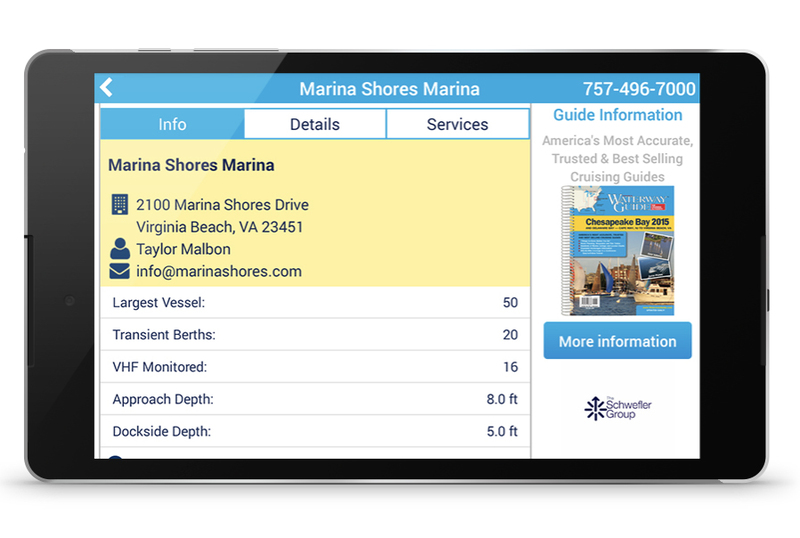 Listing more than 3,700 marinas and boatyards, the Waterway Guide Marinas app can help you find safe harbor in unfamiliar waters. Anyone who has used their boat as they would an RV can appreciate the app’s coverage, which ranges from the Bahamas to Main and the Great Lakes to the Texas Gulf Coast. The app provides essential details like maximum vessel length, depth, VHF channels monitor and contact information. Available for download on the App Store or get it on Google Play. Garmin Nautix In-View Display - starting at $400. The only thing more convenient than hand held is hands-free, and that’s where Garmin’s new Nautix In-View Display comes in. Weighing in at 1.1 ounces, the Nautix attaches easily to either side of your eyewear to put critical marine data in your line of sight. It pairs with a compatible Garmin device and has a customizable screen that lets you keep an eye on things such as speed, compass heading, water depth and temperature. Boss Audio Bluetooth Two-Way Speaker - starting at $230. 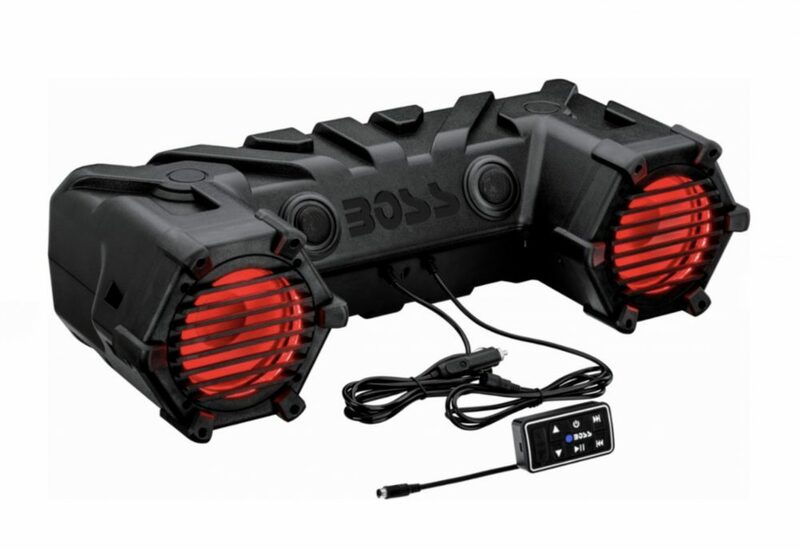 You can take your tunes anywhere with the Boss Audio two-way marine speaker. 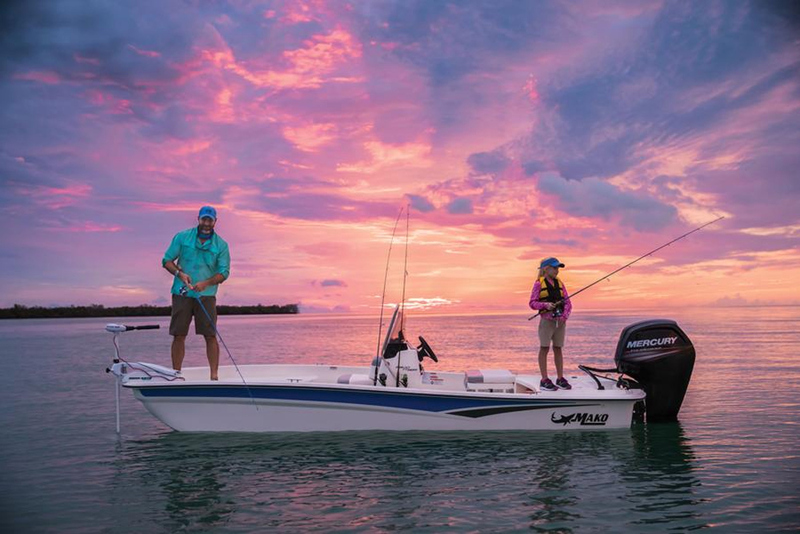 Powered from the 12-volt outlet on your boat, the Boss’ 450-watt built-in amplifier cranks out tunes via Bluetooth wireless or via a 3.5 mm auxiliary input for wired music players. For more information, visit Boss Audio. JBL Marine Audio Combo - starting at $459. If your boat’s audio system dates back the Clinton administration, it’s time to upgrade. It’s easy with the JBL Marine Audio combo, which comes with six Jensen 6.5-inch two-way speakers, a four-channel 760 watt amplifier and the JBL PRV-175 marine receiver. Bluetooth compatible, the system even comes with an antenna and 50 feet of speaker wire. For more information or to purchase, visit Walmart. Seattle Sports E-Merse Smartphone Case - starting at $16. If you’re going to be out on the water with your phone, it’s a good idea to keep it safe with an E-Merse smartphone case from Seattle Sports. 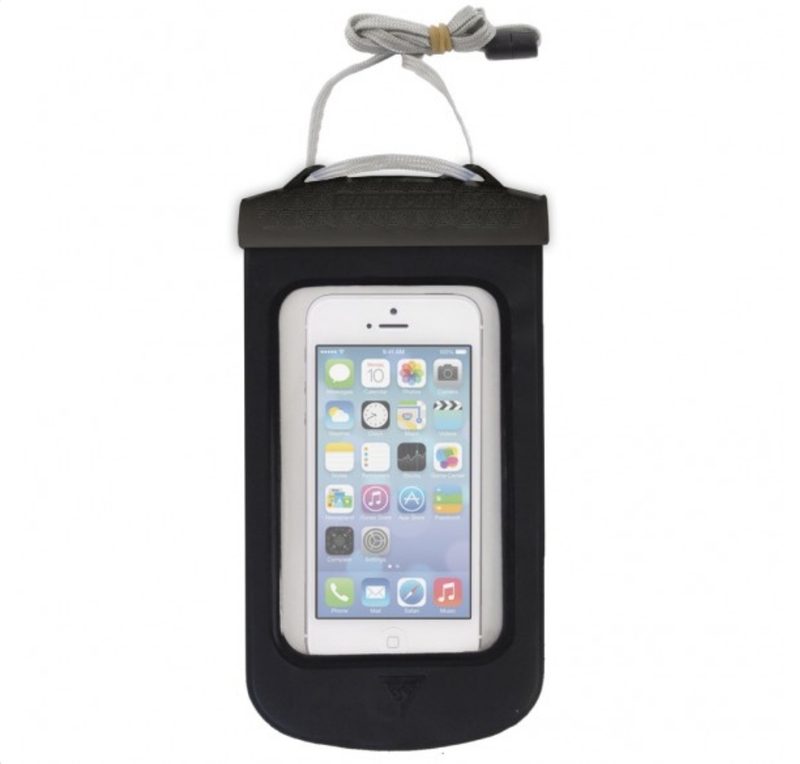 With a double-closure system, the polyurethane E-Merse case provides submersible waterproof protection down to 10 feet. It’s built with a large double-sided window that allows you to see the app screen and take photos through the case. For more information, visit Seattle Sports. ProShot Touch Waterproof Case - starting at $100. With the ProShot Touch waterproof case, you can take your iPhone 6, 6s, 7 or 8 to places you never thought possible. 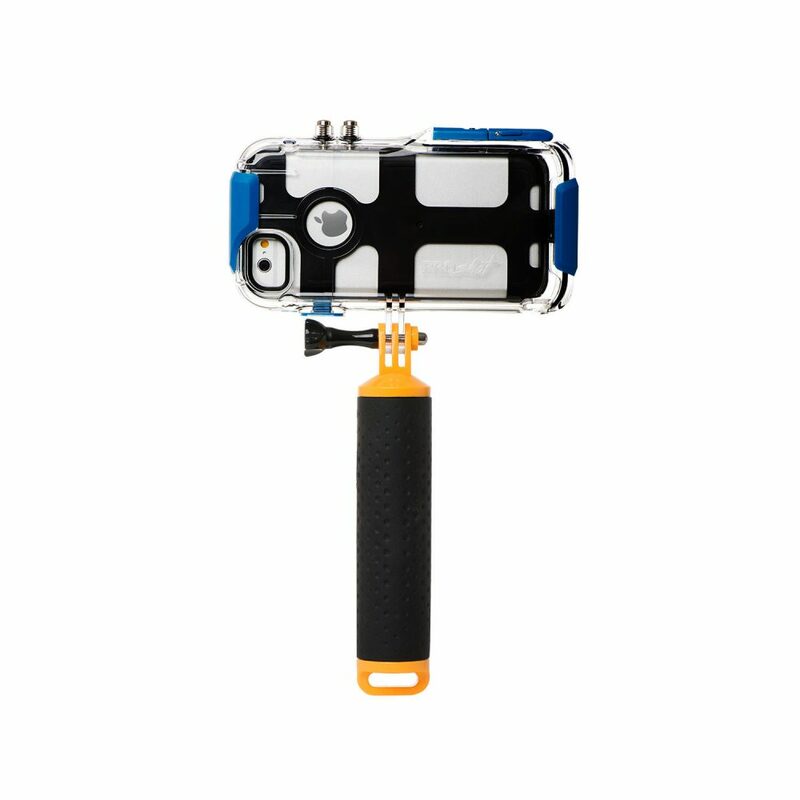 Waterproof to 50 feet, the ProShot allows for full function of all the buttons on the phone, so you can use it as an underwater video camera. No need to buy an underwater action camera! The bundle comes with a floating hand grip, so if your phone goes overboard, you’ll find it on the surface. For more information, visit ProShot Case. Norcross Marine Hawkeye FishTrax 1X Fishfinder - starting at $130. Fishfinders can be expensive and they often require mounting them to your boat. 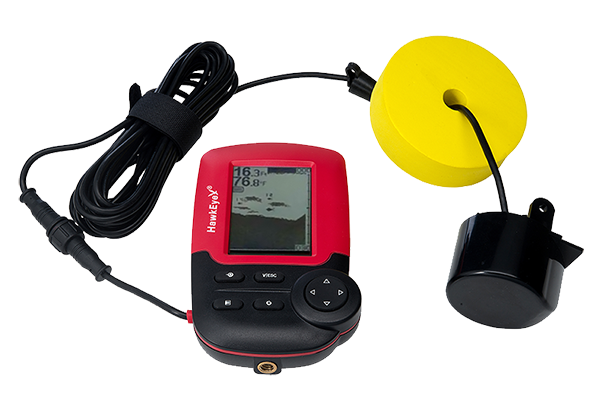 The Norcross Marine Hawkeye FishTrax Fishfinder can be mounted on a pedestal mount or simply held in your hand. 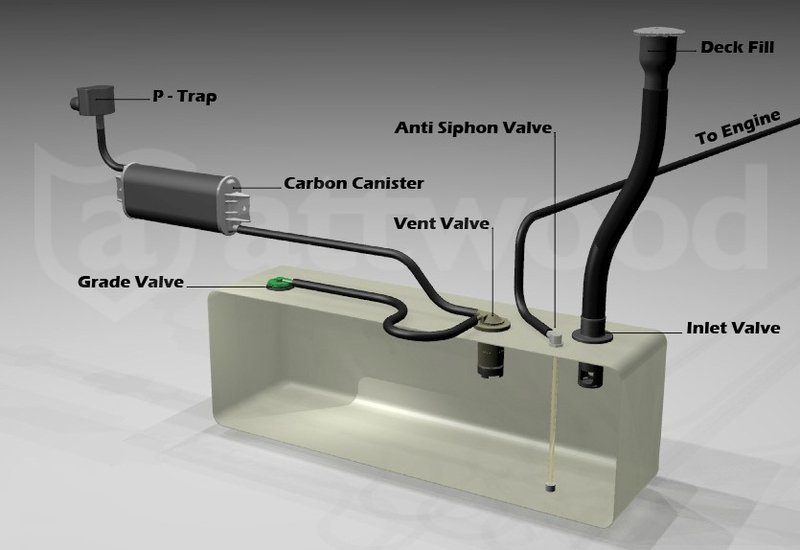 The transducer uses a floating sonar sensor, which means you don’t have to mount any sensors to the hull of your boat. It’s good for depths up to 240 feet and it features auto zoon base tracking to strengthen prey targeting. For more information, visit Hawkeye Electronics. Standard Horizon HX210 Floating Handheld Radio - starting at $110. Standard Horizon has just introduced the HX210, a floating handheld VHF radio. This compact radio features all US, international and Canada channels, and also receives FM broadcasts from 76 MHz to 108 MHz. The high-resolution dot matrix LCD display is easy to read. 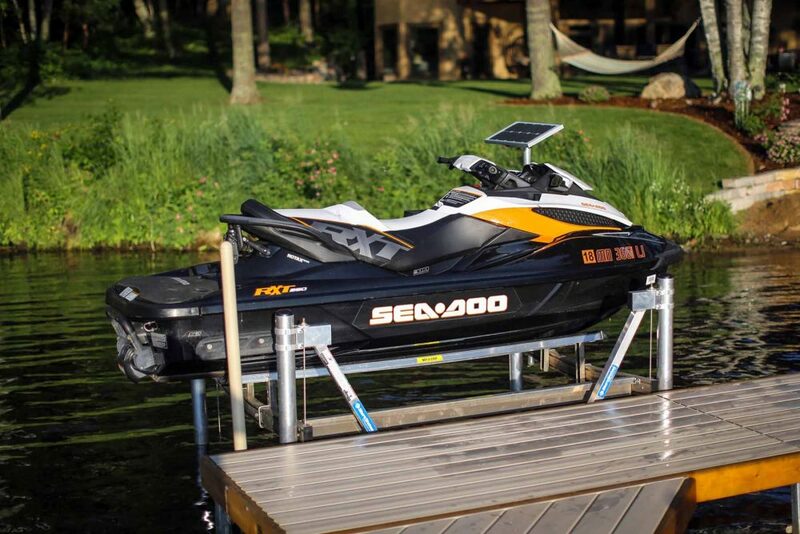 If the HX210 falls into the water, an emergency strobe light activates automatically, even if the radio is turned off. The strobe can be configured to flash on and off, flash SOS or stay on continuously. For more information, visit Standard Horizon. Ram Single Swing Arm Mount - starting at $63. 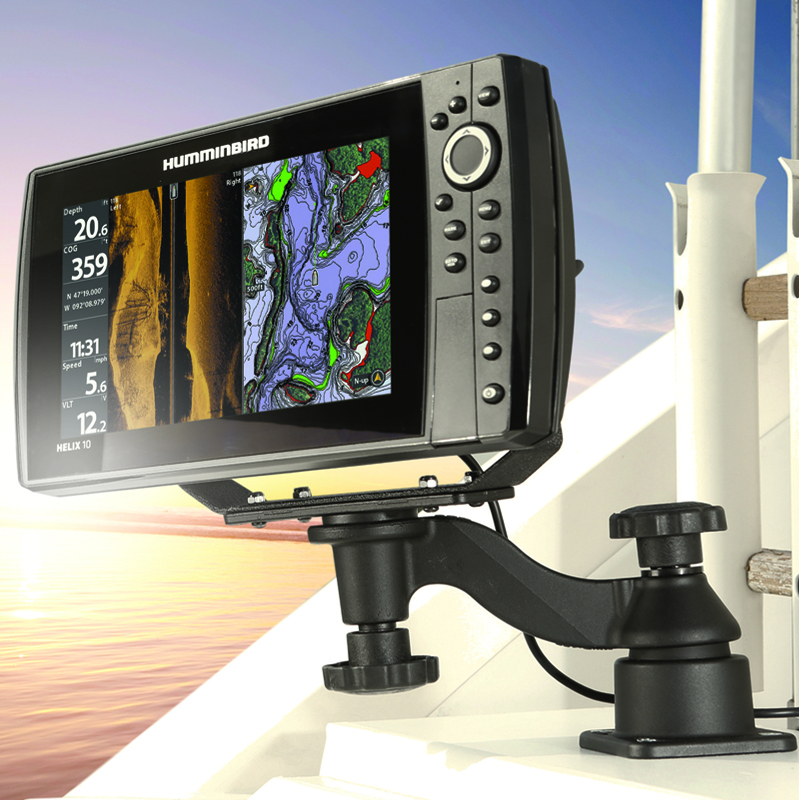 Marine electronics need a steady base and Ram Mounts makes some of the best. One of our favorites is the 6-inch single Swing Arm with a rectangular base. This compact mount screws into your dashboard or gunwale—through-bolting is better if you can access the back side—and accommodates devices up to 10 pounds. With 360 degrees of rotation at the head and base, the Ram Swing Arm is versatile enough to be mounted on either side of the helm. For more information, visit Ram Mount. Still want to see more? 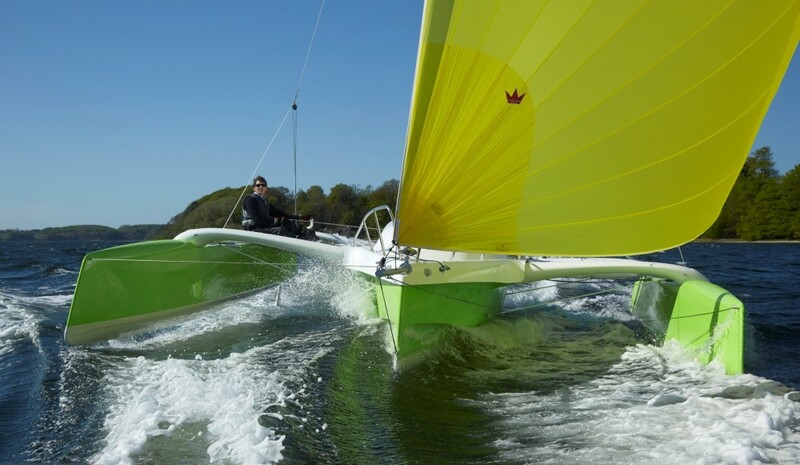 Check out full feature on Marine Electronics. Editor's Note: This article was originally published in April 2013 and updated in August 2018.